When I learned of the publication of Shawn Levy's Dolce Vita Confidential, my first thought was, "Please let him write about the time Anita Ekberg threatened the paparazzi with a bow and arrow!" Levy does chronicle this brief, amusing episode and many other sensational tales of the wild life in 1950s Rome. However, these bits of dolce indulgence sit on a solid foundation, one where I found even more intriguing storytelling and a fascinating history of a city, and country, pulling itself out of the devastation of World War II and glittering more brightly than it had before. While Levy devotes plenty of attention to the glamour and chaos of the scene that centered on the famed Via Veneto, most of the book focuses on the cultural changes that led to its establishment. He charts the post-war growth of Italy in fashion, film and celebrity and how these things were affected by crime, scandal and the birth of the paparazzi. At the center of it all is Federico Fellini's great Roman master work La Dolce Vita (1960), which mixed the director's fanciful imagination with real life events among the city's fabulous and depraved. Though I admit I was eager to get to the more sensational stories, it was fascinating to read about Italy's rise from the destruction of war. Much is made of the contribution of fashion to this rebirth, from the solidly stylish Fontana Sisters who dressed stars like Ava Gardner and Linda Christian, to Emilio Pucci and his distinctive, colorful prints and innovative sportswear. I also loved the various profiles of the characters who made up the scene: including movie stars Gina Lollobrigida, Sophia Loren and Marcelo Mastroianni; filmmakers Federico Fellini, Michelangelo Antonioni and Pier Paolo Pasolini; and the men who originated the concept of paparazzi-style photography, only to later abandon it for respectability, Tazio Secchiaroli and Pierluigi Praturlon. Even more fascinating were the stories of personalities who are lesser-known today, but who were a sensation in the press at the time. Swedish actress Anita Ekberg stands out as the face of La Dolce Vita: a sensual, glamorous and free-spirited presence who knew how to enliven a party. Wealthy, titled members of the upper class like race car driver Fon de Portago were also stars in their own right, inevitably living so hard they came to tragic ends. There are also the quieter, more devastating stories; among the most intriguing, Iranian Princess Soraya, who pined for a lost love amid the clamor of this busy scene. There is plenty of sensation woven into these various histories. Among the scandals disclosed: an infamous strip tease at a private party made public by photographers, wild nights of paparazzi mischief and tangles with the famous and of course that story about Ekberg and her bow and arrow, which she really did shoot at a group of determined photographers. American movie stars are also included in the mix, with special attention given to the uproar over Elizabeth Taylor and Richard Burton's illicit romance during the production of Cleopatra (1963), which was exposed via the determination of a single photographer. Many of these stories were retold through Fellini's unique lens in La Dolce Vita. A significant portion of the book is devoted to this influential, controversial film. The director was stunned to inspire such anger with his film and perhaps also a bit amazed by the extent of the acclaim it won as well. Upon exiting the premiere, Sophia Loren said to him, "Poor you: What do you have inside of you?" Levy charts the growth of the Italian film industry as well, including the construction of the government-owned film studio Cinecittà and the local and international productions it attracted in its heyday. A passage about Italian music of the era, or rather the lack of an significant local scene, was one of the more half-baked aspects of the book. While I understood Levy's intent in acknowledging that this important medium was not a key part of Italy's growing cultural influence on the world, I would have liked a bit more insight as to why that was the case. Overall this is a breezy read which gets at the core of what made post-war Rome so exciting with a well-paced, but nicely detailed style. I found it engrossing to read and difficult to put down. Excited to read this book? I've got an extra copy for one lucky reader! To enter tell me your favorite Italian film, star or filmmaker in the comments. 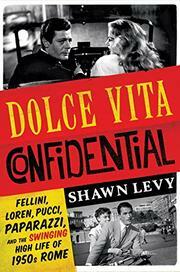 Thank you to all who entered the Dolce Vita Confidential giveaway! Congratulations! Please send your name and mailing address to classicmovieblog@gmail.com and I will send you your book. Many thanks to W.W. Norton & Company for providing a copy of the book for review and the giveaway prize. My favorite Italian filmmaker is Sergio Leone because I am a sucker for a lazy Saturday afternoon watching spaghetti westerns. His style and timing were great. I feel that he is underappreciated as a filmmaker. Thanks for the opportunity to win this cool book. My favorite favorite Italian filmmaker is Antonioni because of his remarkable ability to capture the sheer loneliness and confusion of people struggling to connect with one another amidst modernity. This book sounds fascinating! My favorite Italian star is Monica Vitti. I just love her so much! La Notte. Antonioni and Jeanne Moreau! I can't wait to read this book. My favorite Italian film "star" would actually be Morricone, who is the star, through the ears, of every film he scores! I cannot wait to read this book from my very talented cousin - all the prior books were ones that you could not put down. My favorite Italian star was Marcello Mastrianni. Congratulations to giveaway winner Tumblehawk! 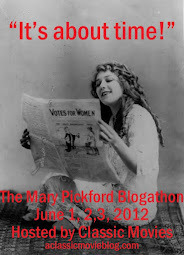 Please send me your name/mailing address and I will send your book!